'Branding strategy', simply put, is a strategy for boosting the brand value. Normally this branding strategy is lectured in books and seminars, and developed by consultants and marketing professionals. Like above, branding strategy is often viewed from the marketing side, but scarcely viewed from the legal side and thus topics on 'how to obtain rights for brands' are rarely mentioned. Even if the brand is high in its value in terms of intellectual property, it is not possible to maintain the value of the brand for long term without protecting its right. In other words, the purpose of branding is to differentiate the goods from the others, but if not protected by rights, it allows for other competitors to counterfeit your brand, leading to the decrease of your property value. Therefore, from the Trademark Attorney's point of view, it is principal to protect the brand by intellectual property law. It is our opinion that marketing strategies and branding plans should be done after the legal protection of the brand. In case of counterfeits and use by others, it is necessary to claim the suspension of their use or claim compensations in order to protect your own brands. Trademark attorneys will be available to support you by providing opinions, publishing warning letters, and being involved in lawsuits. These actions are other possible approaches for your branding strategy. The actions mentioned above are considered as a normal role for Trademark Attorneys. However, we, Harakenzo World Patent & Trademark, will support our clients in all stages from launching to development of your brand. Our supports include specifying brand identities and branding equity that helps augmenting your brand value. "HARAKENZO more" recognise that branding strategy is designed primarily by companies. It is not our task to build branding strategy, but we promote your branding strategy efficiently and effectively. As mentioned above, it is critical to protect brands by rights by support of the Attorneys, and our wish is to assist your business as a business strategy adviser. "HARAKENZO more" handle trademark application cases on a daily basis, and we feel delighted whenever our client gives us words of gratitude. Nevertheless, there are cases when registered trademarks only remain as a mere sign due to the lack of brand value, and even worse, not actually using the registered trademarks due to poor strategy of branding would end in waste of trademark registration. "HARAKENZO more" do not consider trademark registration as our goal. Supporting your business by enhancing your brand value is the final goal for a business strategy adviser like us. As above, it is the marketing division where promotes branding strategies, and we do not possess that knowledge. Instead, we have the skill to observe our client's branding strategy objectively without having any prejudice, and we believe this ability would promote your branding strategy as never before. In addition, it is possible to protect your daily-developing brand with speed and accuracy, and perform the branding strategy by Attorney's engagement. Our engagement in your branding strategy would lead to reducing the legal risks. Please do not hesitate to consult us for your requests. "HARAKENZO more" are happy to support you as a business strategy adviser. "HARAKENZO more" provide our first consultancy at a free of charge. Schedules and fees are provided at the consultation. His specialty covers Design, Trademark, Copyright and Unfair Competition Prevention Law. 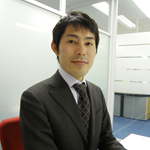 He is presently a member of JPAA. Intellectual property becomes more and more important these days. Under the circumstances, I窶冦 doing my best everyday with responsibility and pride in handling IP cases. I will make every efforts to meet the demands of our clients. 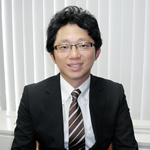 He is mainly in charge of Trade Mark, Design, and Unfair Competition Prevention Act. 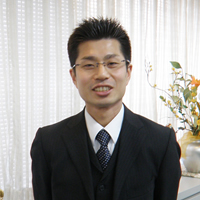 Shinji IMANO, BS in Mechanical Engineering from the University of Tokyo, researched in Mechanical Engineering and Combustion Engineering of diesel engines. After graduating from the university, he worked for a private automotive company and involved in technical management of production facilities. Following this, he joined HARAKENZO WORLD PATENT & TRADEMARK, and began to be involved in the prosecution of domestic and foreign patent cases in the field of Physics. After qualifying as a Patent & Trademark Attorney and becoming a Specially Qualified Attorney For Infringement Litigation, he widened his field of practice to include expert testimony, and consulting services and so on. "As a high school student, I made up my mind to provide the technologies useful for people. To accomplish the goal, I believe it is essential to provide long-term satisfaction to all of our clients. I'll do my best with honesty to combine all of the abilities of each staff member of our firm, in order to provide excellent services that cannot be obtained through mere combination of individuals窶・abilities."